Italian cuisine is always an elaborate meal. You gather several ingredients and spend half the day or more. But this recipe , this Italian pasta dish, is fast , simple and easy in under 40 minutes. It has vegetables for lots of vitamins and minerals. Garlic good for digestion and helps fight against stomach cancer. Also controls your blood pressure. Basil leaves contain much health benefiting essential oils such as eugenol, citronellol, linalool, citral, limonene and terpineol. These compounds are known to have anti-inflammatory and antibacterial properties. Vitamin K in basil is essential for many coagulant factors in the blood and plays a vital role in the bone strengthening function by helping the mineralization process in the bones. As a side note this is a great nutritional meal for those who suffer with Schizophrenia (Read More Here: Nutritional Hope for Schizophrenic Patients). Orecchiette is a type of pasta shaped roughly like small ears, hence the name Orecchiette which in Italian means little ears. It is pasta typical of Puglia, a region of southern Italy. 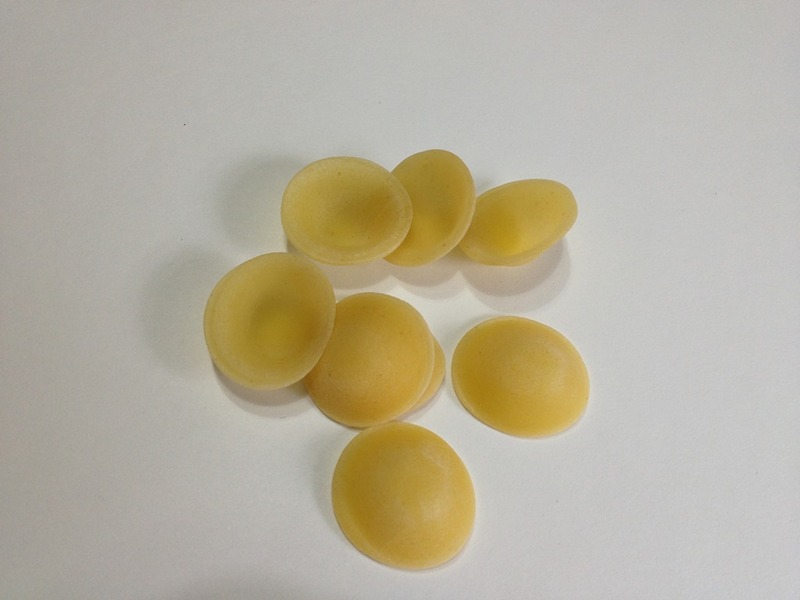 Orecchiette is about ¾ of an inch across, somewhat domed, and the center is thinner than the rim of the pasta therefore, giving the pasta its interestingly variable texture soft in the middle and a little chewier on the outer part. You can purchase it with a smooth surface, as in the image or with ridges. Both are the same flavor and texture. 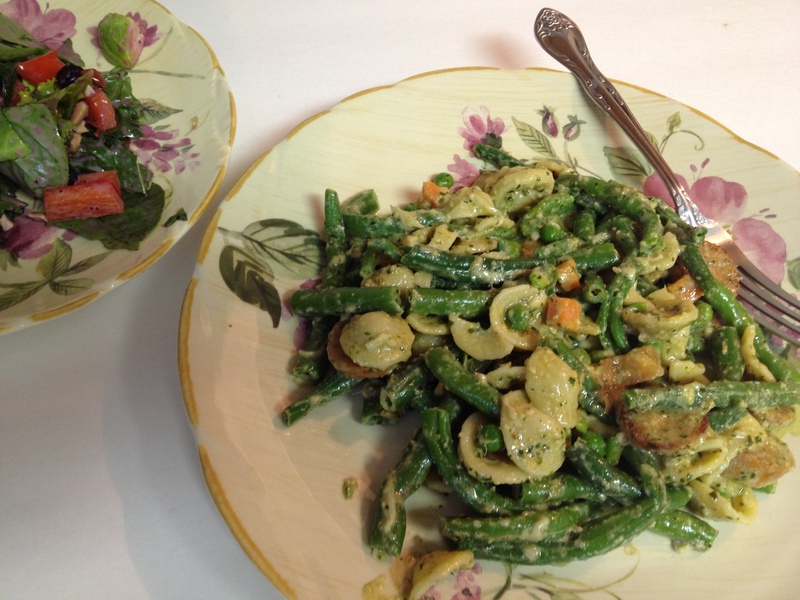 Pasta in Italy – on the road Orecchiette and broccoli! This entry was posted in Chicken, Main Dish, Meals in 30 Minutes or Less, Videos and tagged Achilles' heel, Adriatic Sea, Agriculture, Apulia, Basil, Christmas, Cookie, Food, Italian cuisine, Italian pasta dish, Italy, Orecchiette, Orecchiette Pasta, Parmigiano-Reggiano, Pasta, Puglia, Schizophrenia, Sugar cookie, Thanksgiving. Bookmark the permalink.